Monster Bash Remake has a small update to fix a couple issues in the code. Listed below are the fixes to the game. 1) Reprocessed audio to increase volume. 2) Fixed bug where custom logo would revert to default over a power cycle. 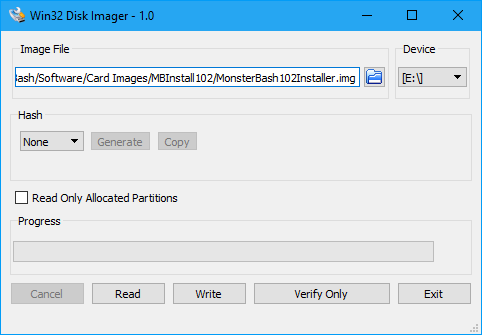 1) This update will only work with a Class 10 microSD Card that is 8GB or larger. You will also need a microSD USB adapter and 8GB of free space on your computer’s hard drive. These are available on Amazon. 5) Insert your microSD card into your computer. 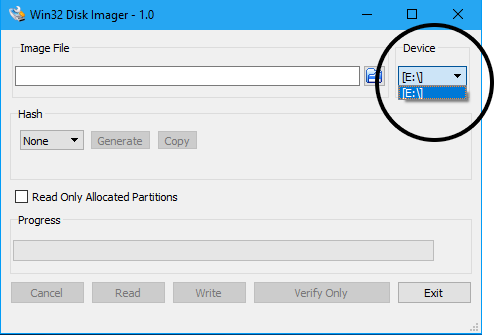 6) Open Win32 Disk Imager, and under Device, select the microSD card you inserted. Be careful not to select an external hard drive or another device, or it will be overwritten. 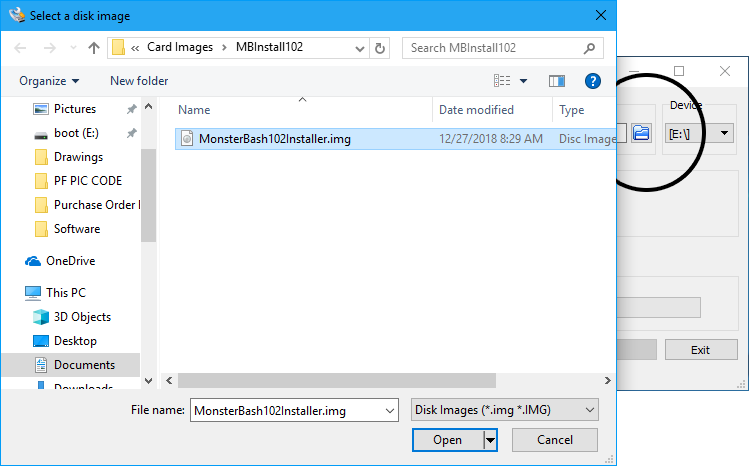 7) Select the folder icon to open the Monster Bash Remake upgrade file. 8) Click “Write” to start writing to the card. This will take about 10 minutes. When complete, you will get a message “Write Successful”. 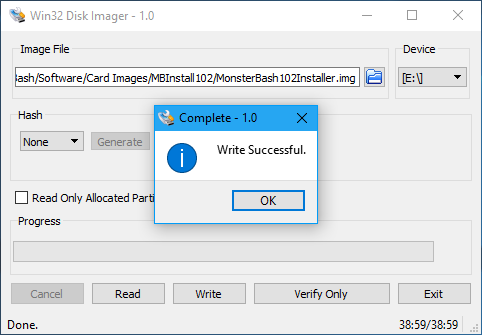 Close Win32 Disk Imager and remove the card. 9) With the game powered off, install the card in the controller board, behind the marquee translite. Power the game on, and you will see a message that the new version is installing. 10) When you see the following message, power off the game, remove the card, and power the game back on.